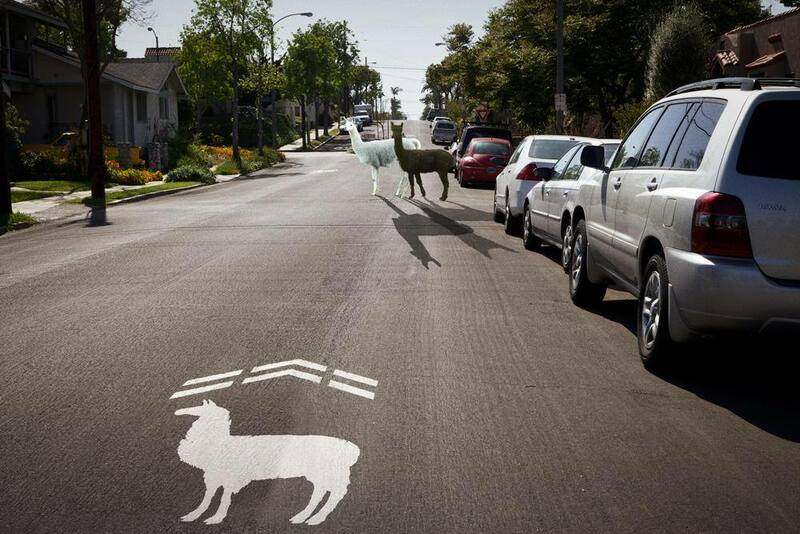 A Larrow lane for Llamas. Photo: Gary Kavanagh. A certain lightness was needed, a comedic break in this crazy F’d up world (including the impending UCI doping report) and it finally happened with the Internets blowing up over a couple of escaped Llamas. We had some fun with the story too, with Carlton Reid’s help… a little bit of viralness, just a bit with the Llamas. The inside joke here was, just prior I had said aloud in the office “maybe we should talk more about infrastructure and bike lanes.” Well, hey we did for a day! 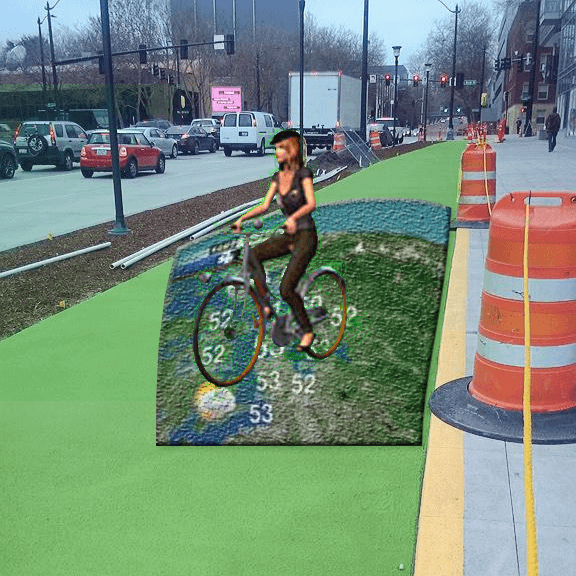 Also joked about the new bike lanes in Seattle that are so green, they look like chroma key screens weather reporters use. They painted it so day glo, like a little red carpet for bikes in green, to attract cyclists and be distinctive. Before it was painted, if you took a right off of Dexter onto Mercer, it looked like another lane of traffic for cars. And that’s enough about lanes, what I said in the original tweet Carlton responded to about SXSW was true. Being part of the community in 15 AND the year of the bike. We switched up what we do too –– like suddenly we’re dismounting and remounting on the LEFT side of the bike –– to advocacy this year from corporate events with Microsoft, Google, and the like in past years. We’ll see you there in a few weeks.